FREE – End of Term – or Anytime – Listening Task that Engages All Students. Differentiated options. Your students will love the adventure. 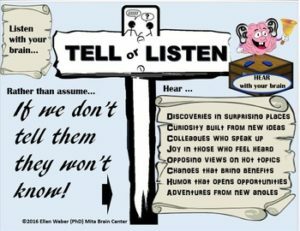 of learning about one another – and they listen for counterpoint ideas from any lesson! Ready to roll (no prep) task and poster to hang as a re minder to listen with their brains! Students will connect to Core Concepts from your within growth opportunity to hear as a way to build curiosity in your class.